Huawei is working to bring Android Oreo to as many of its previous flagships as possible. The Mate 9 and Mate 9 Pro are the last Huawei devices that received the update, so it's time for the Chinese giant to focus on other smartphones in its portfolio. Well, it appears that the next Huawei phones that will be updated to Android 8.0 Oreo are the P10 and P10 Plus, the company's last year flagships. Huawei is now looking for beta testers for its Android 8.0 Oreo beta testing program that will bring the update to both the P10 and P10 Plus. Those who want to participate must download a mobile app on their smartphones, which will allow them to file their applications and receive the first OTA. 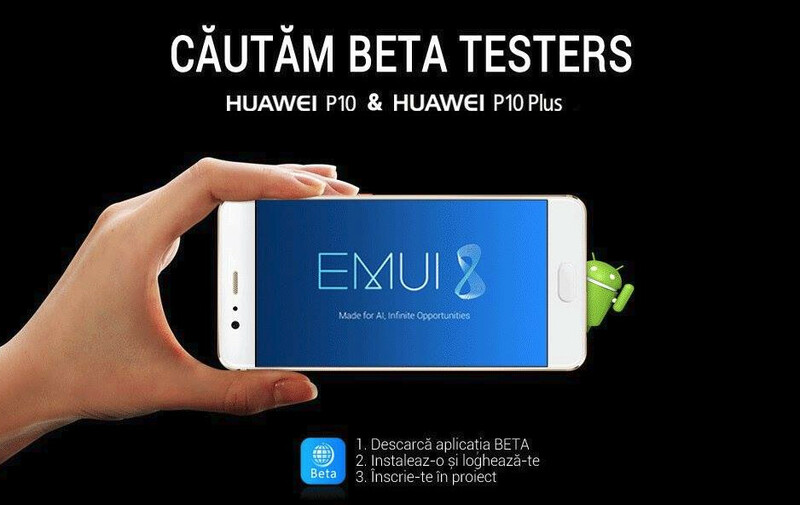 The beta program is aimed at Huawei P10 and P10 Plus units with the following software versions: VTR-L09C432B180, VTR-L29C432B180, VKY-L09C432B181, and VKY-L29C432B181. If everything goes smooth, the P10 and P10 Plus might start getting the highly-anticipated Android 8.0 Oreo update by the end of February, so fingers crossed. We know for sure the beta program is now live in Romania, but other countries might get it too.